This Blog is in the Minetorials : Tutorials with a Minecraft Theme which is now Complete! In this Post there will be some minecraft secrets/hidden stuff you may not know about yet. Cobwebs are indicated you can break them with shears, but also any kind of sword will break the cobweb and drop a string when destroyed. Hold shift while choosing the world type, and after custom, there will be a secret one called debug mode!!! no joke, try it for urself! Who's ready for some freaky Minecraft conspiracies? I am! -If you play Disc 11 and Disc 13 at the same time, the sound overlays perfectly, giving the noises from disc 11 soundtrack and additional noises. - If you do a spectrogram of Disc 11 (A thing that lets you see the variance in frequency of sound) you can very clearly see the face of Steve (without eyes) as well as C418's signature. 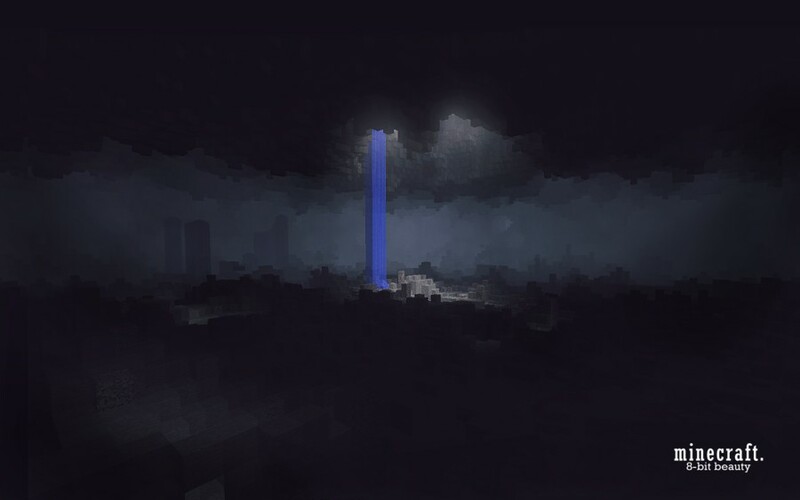 -The End Poem (The odd, cryptic message at the end of the credits when you beat the game) bears shocking thematic similarities to the original post of Herobrine's Poem, hinting at the idea that the player is in a coma and/or a dream, positioning themselves as a sort of deity and/or guardian to the player, as well as other odd tangents. One of the most definate and erie similarities is that both of these poems end with the same chilling line: Wake up. Also, Lavender Town Syndrome actualy was real to an extent. The original version did induce paranoia, anxiety, and general discomfort due to the deep pitches. Bud, if you don't believe me, just try it out yourself. And the Wiki is moderated heavily, and has to provide sources. Hey. Im not trying to start a flame war here... but one thing is people are gullible. If you dont belive me try this: tell someone gullible isnt in the dictonary. 70% of the time they will fall for it! Also just watched the video and another thing is the human brain will look for faces in everything ex. trees that have twisted roots that look like a face, rocks that have dents in them that look like a face etc. I'm not going to waste time trying to prove to you something you can prove yourself. Not sure why you care so much about this. In the time you wrote that, you could have found a spectrogram and viewed it for yourself. 70% of people are not that gullible. You made that statistic up yourself. Additionally, the face theory would apply if it weren't for the fact that signature is also included, and the intensive frequency has no point. Even if you don't see any pictures, you can't deny that the frequencies were intentional. It's really a theory. The wiki is definitely true. It's due to people using different spectrograms that the images are different, and the page is monitored by admins who fact check things. And why would I try to trick you? I have nothing to gain whatsoever. All the other things I included are true. I'm not going to waste my time on this anymore. Any future comments you leave will be unanswered. Sorry you are scared to believe things because your friends are jerks, but that's not really my problem. I care very little about what you think. Best of luck finding truth. Funny, cuz I got Minceraft last Monday legit. No joke. Gold ore doesn't exist in real life as gold is too unreactive to be found in a compound with rock materials. If you put a lava bucket in a furnace, it will burn for 1000 seconds.